The Dash Group, based in Redruth, has announced promotion from within, with the appointment of a new Sales Manager – Pete Theisinger for Dash Drive. Pete celebrates his success by welcoming the 50th member to the Dash Drive vehicle fleet – a brand new 17 seater mini bus, which is already proving to be extremely popular. Pete, who comes from Lanner, has over 20 years of experience within the vehicle hire sector, working for national companies such as Enterprise, so brings a wealth of knowledge to his new role. Pete will not only focus on creating sales opportunities for Dash Drive’s extensive rental fleet, but will also create awareness and build relations for Dash Self Store’s range of storage solutions, as well as the group’s distribution operations for Dash Express. 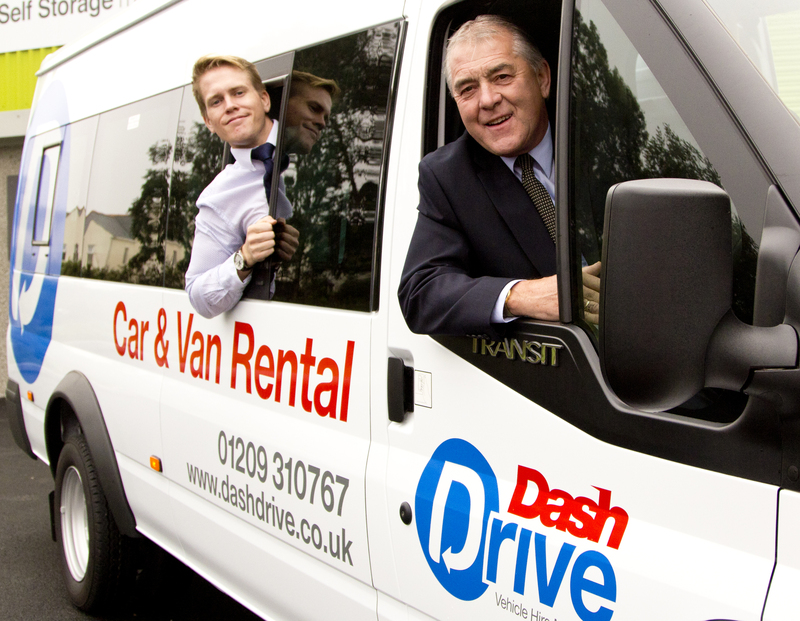 Pete has already demonstrated his initiative and understanding of the business by suggesting that Dash Drive’s 50th vehicle to join the fleet should be a mini bus. The mini bus has now joined the already extensive fleet which includes cars, vans, refrigerated vans and trucks, and is proving to be a huge success – hired on its first day on the forecourt and now with bookings for work outings, school trips and sports clubs throughout Cornwall. The Dash Group, based in Redruth, specialises in self storage, vehicle hire and distribution with business and private customers locally and nationally.